I love Summer on the Newcastle Quayside, when the sun shines and the skies are blue it's quite easy to imagine you're on holiday. 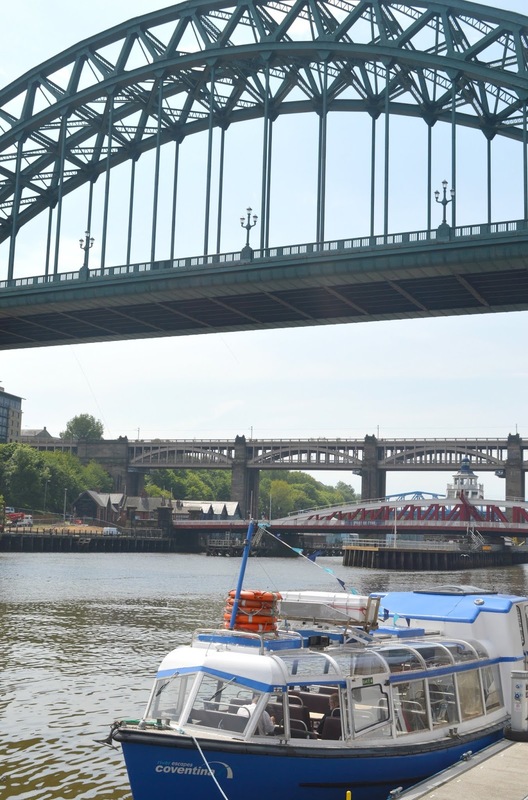 Walking the palm tree lined pavements, grabbing a deck chair on the Quayside Seaside or enjoying a cocktail by the river is heaven and, just incase you needed any more incentive to visit the Newcastle Quayside, this Summer NE1 Newcastle City Marina will be offering Cruises on the River Tyne. 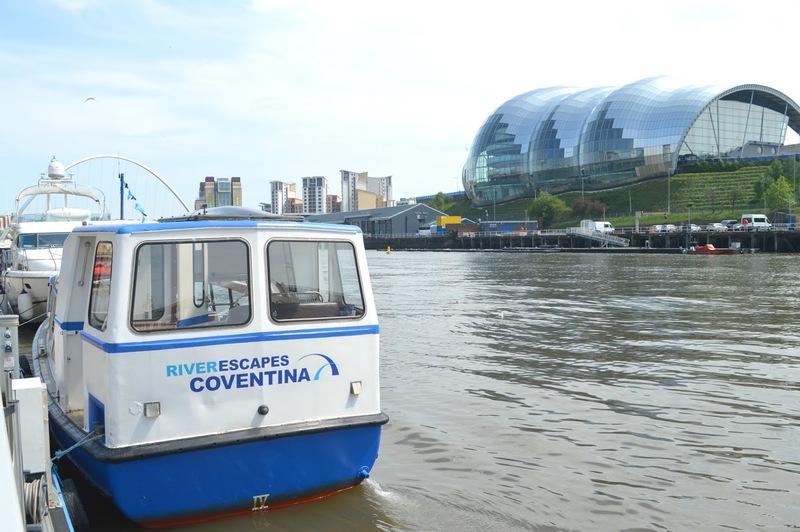 River Escapes have been running tours of the River Tyne for over 25 years, transporting over 18,000 visitors and locals up and down the river on their sightseeing boats and this year, for the first time, they are running two river tours from the NE1 Newcastle City Marina by the Tyne Bridge. When you live in a city you don't often get to do "the tourist thing" but having watched the River Escapes tour boats sailing the Tyne over the years I have always quite fancied doing it myself. So when NE1 invited us to try out their new "Quay to City" one-hour cruise and share our experience with you, well I just had to say yes! Playing tourist in your own city is something that we should all enjoy sometimes, it's a wonderful way to open your eyes to the things that we all take for granted every day. We boarded "The Coventina", River Escapes' fully seated sightseeing boat at 12:00 pm and were pleased to see that the boat was fully booked with every seat onboard taken. We were joined by a very enthusiastic group of line dancers from Glasgow who were enjoying their first ever trip to Newcastle and desperately trying to perfect their "why ayes" as we set sail and headed towards St Peter's Basin. 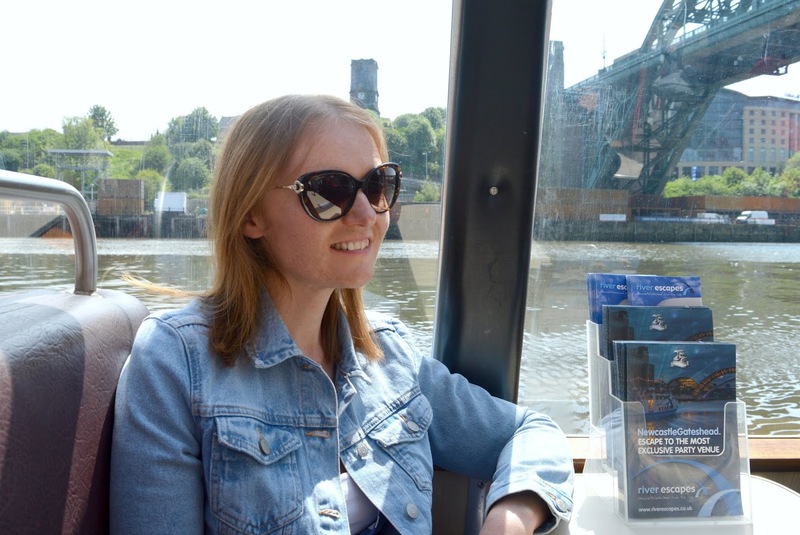 A few minutes into our trip and drinks orders were taken, yes there's a little table service bar onboard making a trip down the Tyne a very relaxing way to spend an hour of your afternoon! Soft drinks cost £1.90 for a 330 ml bottle and there are some local beers on offer including Newcastle Brown Ale (£.4.00), Tyne Bank Brewery Northern Porter (£3.90), Tyne Bank Brewery Summer Breeze (£3.90) and glasses of wine (£4.70) and Prosecco (£6.20). Usually the Quay to City cruise is accompanied by a recorded commentary sharing some history and stories about the River Tyne, unfortunately however the sound system onboard had broken that day so instead we happily chatted, enjoyed the sunshine and the River Escapes team were walking up and down the boat to answer any questions that we had. Seeing Newcastle from the River Tyne is a great way to travel and I have to say looking up at the Baltic and Malmaison as we sailed underneath the Millenium Bridge was quite a moment - my favourite Quayside landmarks look so different from the river and despite having photographed the Quayside many times since moving to Newcastle five years ago I couldn't resist taking endless photographs as we made our way down the Tyne. Waving to the people sitting outside the Pitcher and Piano enjoying the Bank Holiday sunshine we headed towards my favourite part of the river, the mouth of the Ouseburn with the beautiful little boats bobbing in the water outside The Cycle Hub. 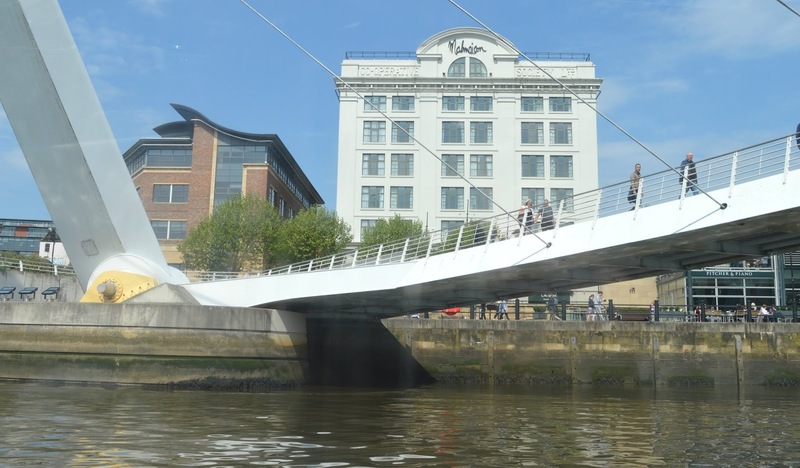 This part of the river offers the most perfect views of the Millenium and Tyne Bridges and it's definitely worth taking the time to wander up there some time to enjoy a cuppa and some cake at The Cycle Hub. Our boat turned round at St Peter's Basin and we sailed back down the river towards the iconic Tyne Bridge. Can you believe that I've been living in Newcastle for years and this was the first time I've ever been under the Tyne Bridge! The Quay to City Cruise sails under seven of the Tyne's famous bridges and really does make you realise that living in Newcastle turns you into a bit of a bridge geek. Listening to the River Cruise team explaining to visitors about The High Level Bridge, the first bridge of its kind to transport trains, cars and people across the river, made me pretty proud to live in Newcastle. Who knew I could feel so much love for a bridge? Heading out towards The Dunston Staithes the panoramic view of the famous brides is pretty spectacular and this part of the Tyne is so open and peaceful. The perfect place for a spot of bird watching, I quite often walk down to the Staithes to admire the views and escape the bustle of the Quayside. 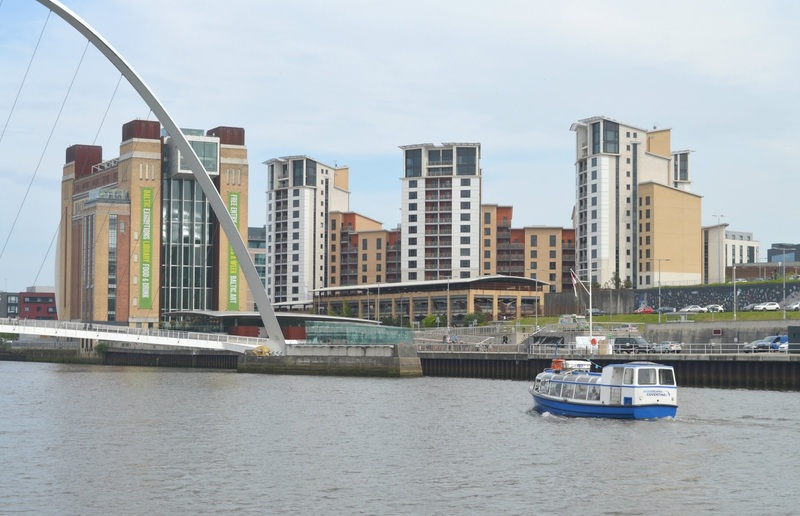 Our hour long cruise on the River Tyne was over before we knew it and we were safely returned to the Newcastle City Marina feeling even more love for this great city than we had when we started. 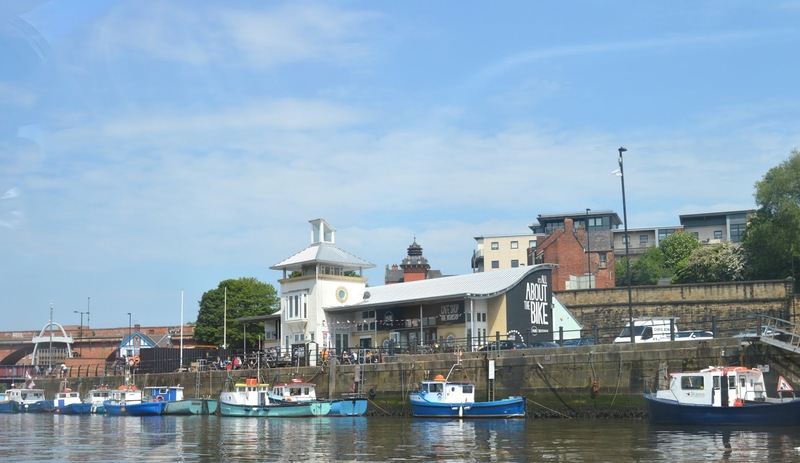 The Quay to City Cruise runs every Saturday until October and on Fridays during July and August, setting sail at 12:00 pm, 1:30 pm and 3:00 pm. Tickets cost £7.00 for adults, £6.00 for seniors and £5.00 for children. 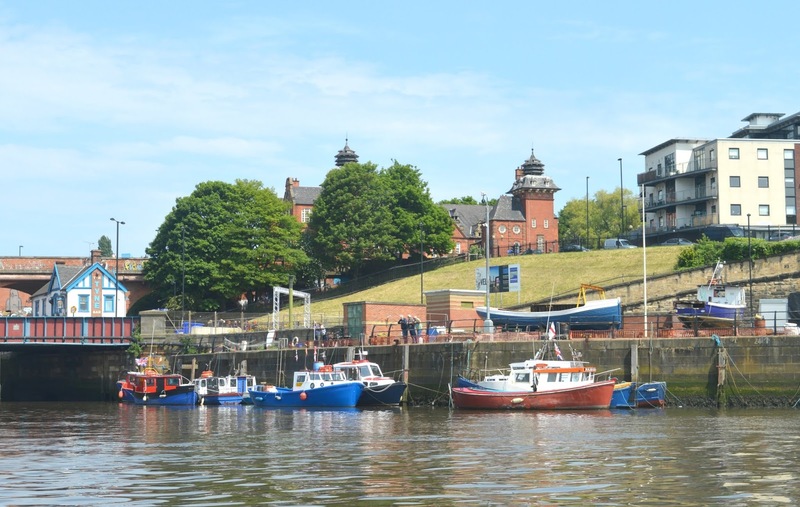 To find out about the other sightseeing cruises on the River Tyne available check out River Escapes here. NE1 and River Escapes invited us onboard for a complimentary tour to share our experience with you. All opinions are our own. I love the idea of being a tourist in your own city! I've since moved away from Cornwall but my family still live down there, and whenever I return home I find myself doing all of the touristy things that I never even thought to try whilst I was growing up there! It looks like you had some great views, and I love the fact that you get table service too! Oh wow, that's a bargain! And I had no idea they served booze too, perfect. I need to book one now!